I’m sure we have all seen painters applying paint in someone’s home in the late fall or very early spring. The big question and most important is will the paint job hold up in the future? Will the color retention be affected due to longer dry times and shorter days? Q: Cold weather is coming. Can I still paint the exterior of my house? A: Temperature is one of the most important factors to think about when you are considering painting the exterior of your home. Paint reacts very differently as temperatures approach the freezing mark compared to how paint performs during warmer weather. With newer product advancements utilizing modern chemistry, paint manufacturers have extended the temperature range at which some exterior paints can now be applied. Select paints are available in the marketplace today that delivers successful exterior painting in cold temperatures. However, some precautions need to be taken to ensure a satisfactory result. Just because the salesman in the paint store tells you the paint can be applied in 35-degree temperature’s does not mean the paint job itself will not be affected if you don’t take precautions and watch the weather very closely. Q: What steps should you take before attempting to paint in cold temperatures? A: Even though there are now products that have the ability to perform in lower temperatures, there are still many precautions you need to take before applying exterior paint in colder weather. · Priming. Many exterior paints are now self-priming products. If the product you’re working with is not, make sure you use a good bonding primer before applying paint. · Pay special attention to the substrate. You really want to know the moisture content of your substrate. Paint adhesion can be negatively affected by the surface having too much moisture. Also, substrate temperature should be checked before painting. Just because the outside air temperature is 35˚F does not mean that your substrate has also reached that temperature. Be sure your substrate has reached the proper minimum temperature before applying paint. There are tools you can purchase to measure surface temperature. Make sure the paint is actually rated for 35˚F temperature. Many common house paints and stains are still restricted for use in temperatures of 50˚F and warmer. · Know your products. Although your paint product may be approved for use in low temperatures, other materials you use may not work in cold weather. For example, warmer temperatures are usually required when using fillers, primers, and caulking effectively. Allow for drying time. Multiple coats applied too quickly in cold weather may show bubbling and blistering. 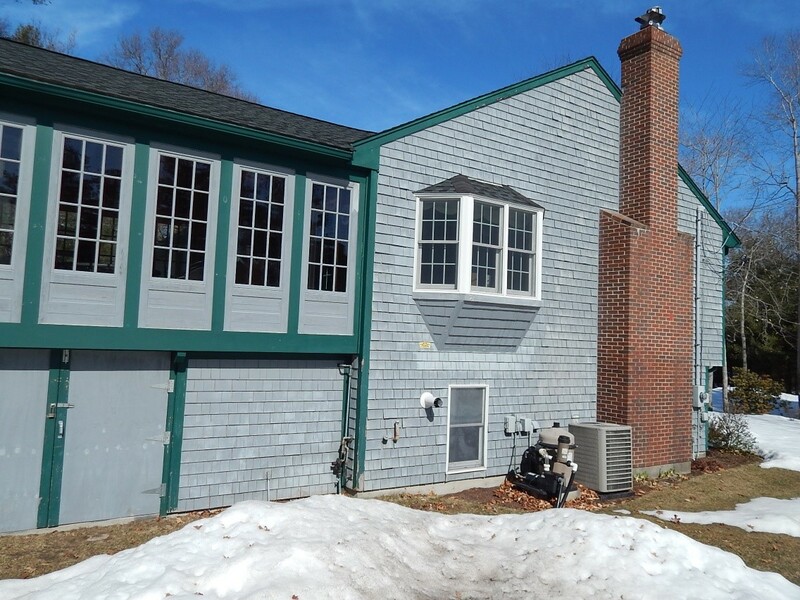 Bottom line, if you decide to tackle an exterior paint project with latex paint at this time of year in the Southeastern Massachusetts/ Cape Cod areas, pay close attention to weather conditions. Ideally, wait until the temperature is predicted to remain above the recommended minimum for the next 36 hours! Remember our weather here in Bristol County/ Cape Cod area can change in a heartbeat. Temps can still be very cold in early am and drop quickly in the afternoon. 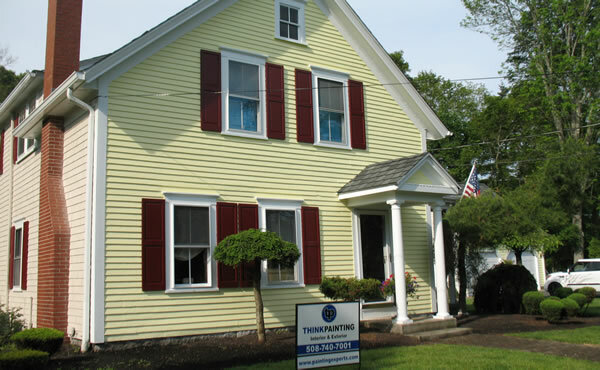 Make sure your painting contractor understands this and will provide you a written warranty for your exterior painting. 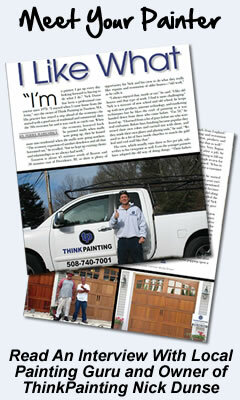 Nick Dunse, Owner of THINKPAINTING, has been painting homes in Southeastern Massachusetts/Cape Cod areas for 40 years. 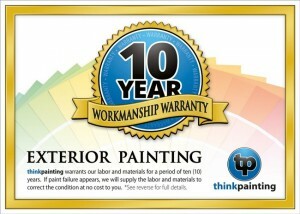 He warranty’s all exterior painting for 10 years when done by his speciations.